American open wheel racing's bright new future begins at 8pm local time at Homestead on Saturday, when a 26-car field will take the green flag for the first unified IndyCar race in over twelve years. Newman/Haas will finally share a grid with fellow US titans Penske again. Rising sons Marco Andretti and Graham Rahal can go head to head at last. The likes of Will Power, Justin Wilson, Danica Patrick and Dan Wheldon get an overdue chance to see how they compare to all their peers, rather than just those who washed up on their respective sides of motorsport's most damaging divide. And most importantly, the days of struggling to explain the difference between an IndyCar and a Champ Car, and why these two all-but-identical concepts weren't part of the same championship, are over. Creating fantasy unified schedules and starting line-ups has been a popular pastime amongst journalists and fans for many years - but the reality of the merger hasn't been quite so Utopian. There are going to be a lot of imperfections about the 2008 season. 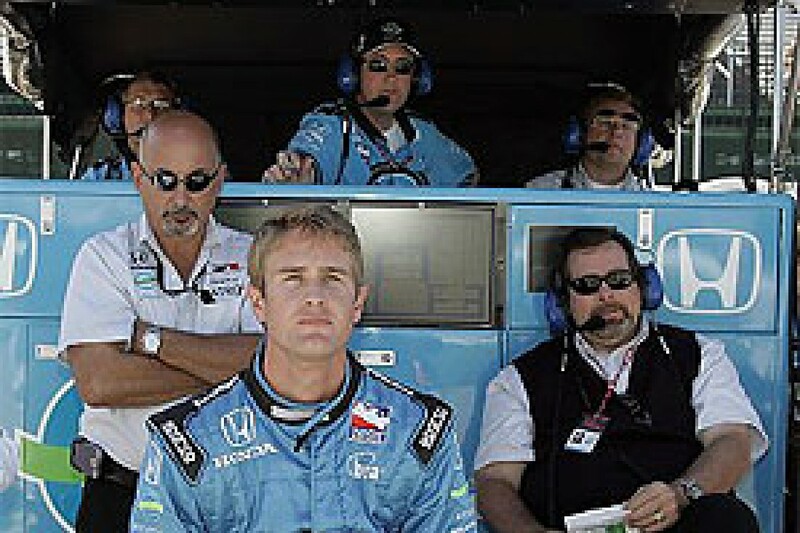 Only nine of the 17 Champ Car regulars have managed to put a full-time IndyCar programme together, and leading teams Walker and Forsythe are not among them. The schedule is dominated by Indy Racing League events and therefore biased towards high-banked ovals, with some of America's greatest venues missing out, at least for this year. 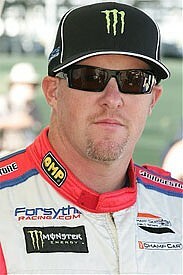 Paul Tracy - Champ Car's highest-profile name by far - won't be on the Homestead grid. The popular turbos are gone. The series will temporarily (and confusingly) split again for the Motegi and Long Beach date clash. And with the Champ Car converts only getting four days, or less, of IRL testing pre-season, even a mighty squad like Newman/Haas/Lanigan will be amongst the IndyCar minnows at first. But the damage inflicted during a twelve-year war could never be repaired in just the 36 days between the unification agreement and the Homestead race. 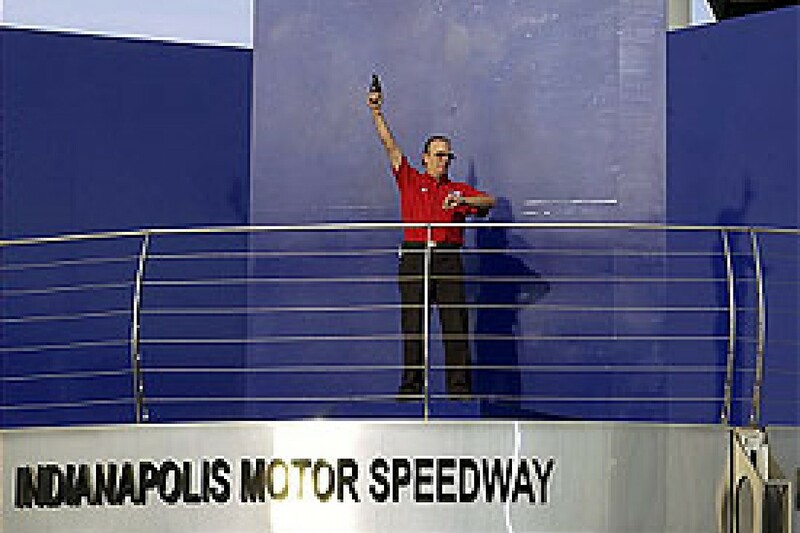 The 2008 season must be regarded as a work in progress - a springboard from which American open wheel racing can try to become a respectable alternative to NASCAR rather than a neglected minority interest. None of those involved are bemoaning the compromises that will make this year's championship more of an 'IRL plus' than a true combination of the two series' best assets. They know that 2008 is just the first step, and that it will be a little rough around the edges. But they can cope with a few short-term inconveniences because 2008's mongrel championship is still a far more promising prospect than two separate but similar series scrabbling to find 17-car grids so they could continue battering each other into terminal irrelevance. That's all in the past now, and so although 2008 will be flawed, it is just the prelude to brighter days ahead. This is the area where the Champ Car loyalists have lost out the most. All 16 planned 2008 IndyCar races are retained, but only three of the 14 Champ Car dates have survived - and there are issues hanging over all of them. It was impossible to move Motegi or Long Beach from the 19-20 April weekend, and the series could not afford to lose either Honda's home race or the talismanic Californian street event. So while the existing IndyCar field heads to Japan, the so-called 'transition teams' will dust off their Panoz chassis and rejoin some of their old rivals for what is being billed as Champ Car's farewell, although it will count for IRL points. The popular Edmonton airport track is retained to ensure the series has a foothold in Canada, where Champ Car retained a strong fan base even in its darkest days. Edmonton will probably happen on 27 July - but the date remains unconfirmed. Surfers Paradise is the final addition, and the complication here is that the IRL has a contractual obligation to end its season with the 7 September Chicagoland race, so the late October Australian date must either be a non-championship event or billed as 2009's opening round. It is hoped that this situation can be rectified by next year. Fortunately most of Champ Car's premier races should be safeguarded for 2009, when the calendar can be properly planned rather than thrown together. N/H/L co-owner Mike Lanigan is the promoter of the Houston street track and the spectacular Cleveland airfield course, while Andretti-Green are set to add the successful Toronto event to their promotional portfolio. It is also hoped that there will be a way back for the much-loved Elkhart Lake, America's finest road course. Champ Car was set to share a bill with the American Le Mans Series there again, and the sportscar championship will still run on Elkhart's traditional August date. The 'European leg' is gone, and won't really be missed, while Laguna Seca, Portland and Mont-Tremblant will face a battle to squeeze onto the 2009 schedule, as might Mexico City - its place less secure now that most of the Mexican drivers and sponsors that once flooded Champ Car have gone. The IRL calendar isn't quite as diverse as CART's well-balanced mid-1990s schedule, but it does bring the challenging road courses at Lexington, Sears Point and Watkins Glen, plus the St Petersburg and Detroit street tracks. There is less variety in its ovals. Milwaukee is the sole survivor of the classic one-mile venues, and along with the mighty Indianapolis and the ultra-short blasts of Richmond and Iowa, it provides welcome relief in a schedule dominated by high-banked 1.5-mile speedways. Five of the nine teams that made it to the end of Champ Car have moved across, led by reigning champions Newman/Haas/Lanigan. They've had it all their own way for the past four years, and the technical prowess that allowed them to squeeze more speed from the spec chassis than their CCWS rivals will pay dividends as they play catch-up in the IRL - where they have a little experience from the 2004/2005 Indy 500s. Expect either Justin Wilson, who would have been overwhelming favourite for the 2008 Champ Car title, or his highly talented but inexperienced teammate Graham Rahal to be the first convert to reach the podium, probably before mid-season. But it was KV (formerly PKV) Racing who led the initial acclimatisation tests. Oriol Servia has plenty of oval experience from Indy Lights and his early Champ Car seasons, but Will Power could well emerge as the team's leading contender after his controversial switch from Walker Racing/Team Australia. Power really found his niche in Champ Car and seems equally at home in the IRL Dallara. Conquest Racing owner Eric Bachelart had mixed feelings about the merger. After years of under-financed struggle, new sponsor Opus Prime allowed him to expand to a two-car Champ Car team... just weeks before the series' demise was confirmed. He swiftly regrouped to field Atlantic star Franck Perera and ex-Formula One driver Enrique Bernoldi in the IRL. Perera flew in the final Champ Car tests, while Bernoldi could be the latest man to rebound from a mediocre F1 career by shining in the US. Life will be harder for the other two transition squads. Dale Coyne has worked miracles on a tiny budget for two decades, but benefited from Champ Car's low-cost ethos to take a string of podiums with Bruno Junqueira last year. His team will find it harder to impress in the more expensive IndyCar Series. Paul Stoddart's departure means Keith Wiggins' team is known as HVM Racing once again. The former Pacific boss expects to be at the back initially, but has plenty of faith in his new signing Ernesto Viso, who should prove well-suited to IndyCars. 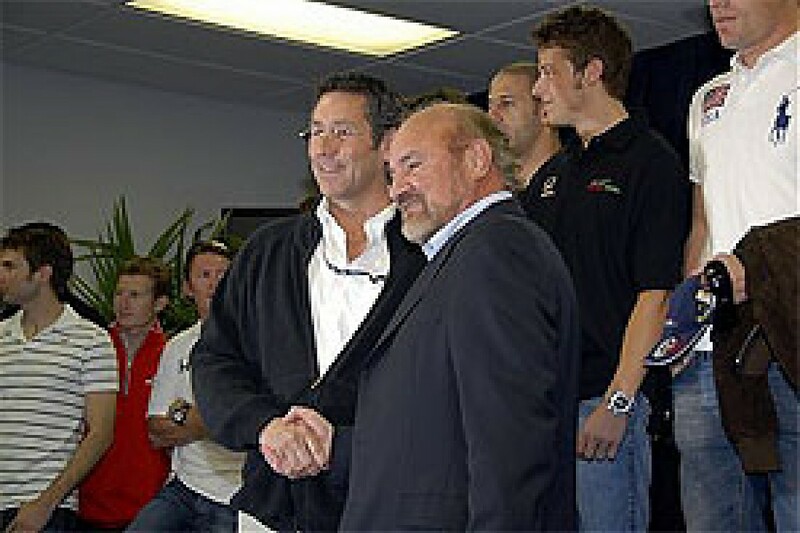 Since August 2005, every single IRL IndyCar Series race has been won by one of its three powerhouse teams: Andretti-Green, Penske and Ganassi. And although the merger is a long-term threat to their dominance, expect the illustrious trio to monopolise Victory Lane again this year. Ganassi are the only one of the three to carry an unchanged line-up into 2008. Scott Dixon just needed a few more litres of fuel to beat NASCAR-bound Dario Franchitti to last year's title, while teammate Dan Wheldon utterly dominated proceedings early in 2007 only to fade at mid-season. Either could be champion this year, with Wheldon chasing a record fourth successive Homestead win this weekend. Penske have moved Ryan Briscoe across from their ALMS arm to replace Sam Hornish Jr (another NASCAR departure) alongside Helio Castroneves. The Brazilian has won 18 Indy/Champ Car races, including two Indy 500s, but no titles. One of the finest road and street racers in the field, he is desperately overdue a championship - and now has many, many new fans among the American public thanks to his Dancing with the Stars triumph. But don't expect Briscoe to be outshone by the IRL's latest celebrity. He rebounded from a tricky Ganassi season to become an underdog hero with Dreyer & Reinbold, and then sufficiently impress Penske to make his sportscar sojourn a short one. He has flown in testing and will make the most of his third chance in IndyCar. AGR's hopes lie almost entirely on Tony Kanaan's shoulders, for the 2004 champion is now by far the most experienced man in his team's four-strong line-up. Danica Patrick and Marco Andretti have high profiles but a lot to prove. There is still a faction that will see Danica as little more than a gimmick until she wins a race, while Andretti had some awful runs on the ovals early last year before rediscovering his form later on. Franchitti's seat has gone to highly-rated Indy Pro Series graduate Hideki Mutoh - Honda's latest chosen one, and a man who set fastest lap on his IRL debut in last year's finale. For Mutoh to emerge ahead of Andretti and Patrick would be a real upset, and is entirely possible. Andretti-Green, Penske and Ganassi's stranglehold on the IRL has edged double champions Panther Racing and former Indy 500 winners Rahal Letterman Racing towards the midfield. Both have slimmed down to single car teams for 2008 - RLR losing Scott Sharp and his backers to the ALMS, and Panther missing out when Honda decided to transfer their support from Kosuke Matsuura to Mutoh, and then to place their new protégé at AGR instead. But both teams could have strong seasons. Rahal threw overlooked Champ Car race winner Ryan Hunter-Reay a lifeline last year, and the talented young American still has the potential to be a big star in this series. Vitor Meira is IndyCar's 'nearly man' - having achieved two pole positions, six fastest laps and 13 podiums... but not a single victory. Sadly he probably won't have chance to rectify that anomaly this year, although with Panther boosted by new National Guard funding, he could boost his podium tally ever further. While the transition teams won't be threatening the podium immediately, they are set to make life a lot more complicated for the stalwart IRL teams on the cusp of the top ten. Tony George has been accused of abandoning the series' founding principles on many occasions - but his own Vision Racing is fielding two young Americans from oval racing backgrounds in AJ Foyt IV and Ed Carpenter. Both have made great progress in recent years, with Foyt impressing far more at Vision than he had when driving for grandfather AJ Foyt, taking his first podium in Kentucky last summer. 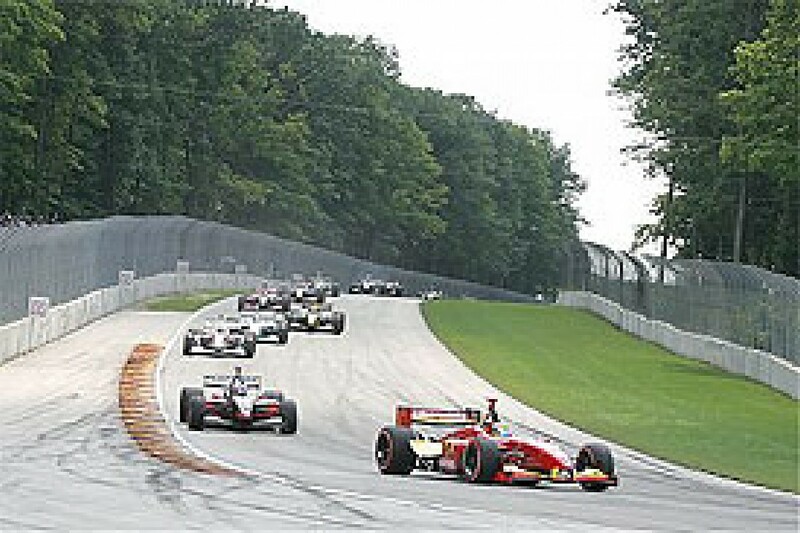 They still tend to prop up the grid on road courses, but are improving in this area - and ironically Carpenter's career-best result remains his slightly fortunate sixth place at a wet Watkins Glen in 2006. Dreyer & Reinbold Racing and AJ Foyt's team are underdogs that should not be underestimated. Darren Manning wrestles some amazing speed out of Foyt's cars on the street courses, while 2004 Indy winner Buddy Rice almost pulled off an unlikely podium for D&R in Detroit last year. The latter will field two under-rated Americans for much of the year, with Townsend Bell sharing their second car with Milka Duno. Expect the No.23 Dallara to go significantly faster on Bell's weekends - although so far in testing Duno has looked better than she did in her hesitant part-season with SAMAX last year. Before the merger was on the cards, the IRL introduced the Team Enhancement and Allocation Matrix (TEAM) programme, which offered financial incentives to entice squads who usually contested only the Indy 500 to commit to full seasons. Only Roth Racing took advantage, with owner/driver Marty Roth significantly boosting his resources, hiring respected veteran engineer David Cripps, and adding a second car for former IPS champion Jay Howard. After a frustrating season on the sidelines, Howard is determined to make a big impact in his rookie campaign. The 26-car Homestead field is just the start - expect the grid to nudge 30 on occasion and for Indianapolis Bump Day to regain its significance after years of the series struggling to find 33 entrants, rather than teams struggling to squeeze on to that famous 33-car grid. Following a disappointing season with Dreyer & Reinbold, the still highly popular Sarah Fisher has set up her own team for a partial programme, but won't be a top six threat like former winner Tomas Scheckter will in his occasional appearances for Jay (son of Roger) Penske's Luczo Dragon Racing - who were regarded as a Penske 'B team' at Indy last year, where Briscoe took them to fifth on a one-off outing. Ganassi have signed runaway IPS champion Alex Lloyd for a currently unspecified programme. The smart money is on him dovetailing a Grand-Am title challenge with a handful of IndyCar races - most likely with a smaller team (Vision and Dreyer & Reinbold have both been mooted) running with Ganassi assistance, rather than in a third Target car alongside Dixon and Wheldon. Current IPS driver Pablo Donoso might appear in a second Foyt car later in the year, while Indy 500 regulars Beck Motorsport could contest some extra races preparing for the month of May. Indy itself will inevitably attract one-off entries from stalwarts like Playa Del and Chastain, and temporarily expanded line-ups at some of the regular teams. There may also be more Champ Car converts as 2008 progresses. Relative newcomers Pacific Coast reacted enthusiastically to the merger and dismissed suggestions that their road course background would see them swiftly returning to sportscars rather than braving the IRL's ovals. They haven't got a programme together in time for Homestead, but could appear later in the year. Derrick Walker is also determined to get his team on the IRL grid sooner rather than later, although he has to start from scratch after his split with Craig Gore's Team Australia programme. Forsythe are committed to running several cars at Long Beach, and Tracy initially hoped he could persuade them to reverse their decision not to join the IRL. That looks unlikely, but they retain an involvement as their subsidiary Forsythe Performance Research is working with Conquest, and CEO Neil Micklewright hinted that a return for 2009 is possible. In the meantime, it is surely in everyone's interest to get Tracy in an IndyCar at some point this season, especially by Edmonton. The Canadian's importance is such that when it was suggested that a contractual disagreement with Forsythe would see him quit Champ Car late last year, it was widely agreed that his departure would kill off the series. The IRL has more strength in depth and has star names of its own, so does not share Champ Car's total reliance on Tracy, but it would undoubtedly benefit from his presence and the spark of unpredictability that he brings. Tracy's absence is due in part to the difficulty in convincing sponsors to get involved in American open wheel racing during its perplexing schism. Gerry Forsythe had funded his team through his own companies for too long, and was unwilling to continue doing this in the IRL. Similarly if more US businesses had been confident in Champ Car/IndyCar's value as a marketing tool, then there would be more than seven American drivers in full-time IRL rides this year, and the nation's talents wouldn't be choosing the NASCAR midfield over single seater success. The teams hope that this problem will largely solve itself now that the split is over - as confusion in the marketplace will be a thing of the past. Time will tell if their confidence is well-founded, but the merger certainly won't hurt. There's no doubt that rebuilding process is going to be a long and fraught one, but it will - hopefully - be worth the inevitable growing pains. If nothing else, the sight of 26 cars taking the start on Saturday night will prove that this winter has been a big step in the right direction.